The Epiphone Allen Woody Rumblekat bass is an instrument designed by the legendary bassist of the Allman Brothers and Gov't Mule, Allen Woody. It was designed in early 2000, right before he passed away. This is a bass that was designed to embody the spirit of many of Woody's favourite instruments of the '60's, It's a short-scale (30") for playing comfort with two mini humbuckers to give you Alllen Woody's "signature" warm tone. These two Epiphone designed mini-humbucker pickups are mounted in the middle and neck positions and are the source of the passive electronics. 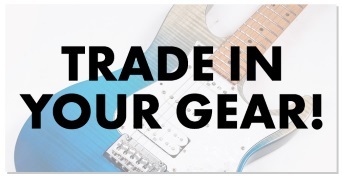 Each of these pickups features it's own volume knob alongside a master tone knob. The bridge is adjustable in height at three points. Other hardware features include sealed gear machine heads, a labelled tortoise shell control plate, and an output jack on the side of the bass right underneath the tone knob. 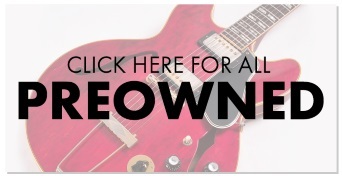 The Rumblekat features a 2.1" thick sound chambered mahogany body of the Epiphone Kat series design. Sans f-holes, the body is a neat looking design that's feedback and stage friendly. The body, neck and headstock have an off-white binding which beautifully compliments the finish and gold hardware while adding a nice touch of distinction to the appearance of the instrument. The top is 5-ply maple.